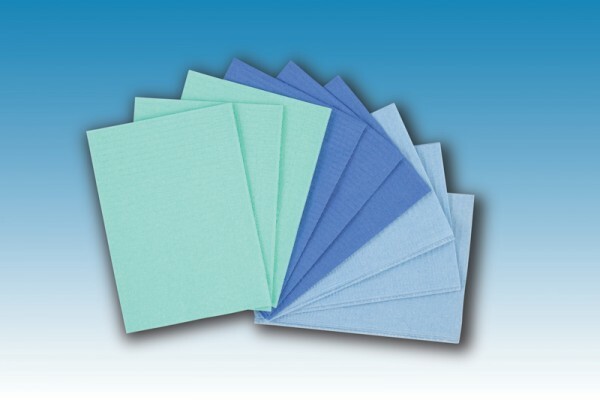 For protection of the patient, Omnia offers both towels and bibs. The plasticised towels have 3 super-absorbent layers, whose particular structure allows high liquid retention. They are available in green and light-blue.